Where does the year go? This is what I've been working on this past week. Little by little, working down the pile. There aren't many books I've read where I didn't figure out the plot or who the bad guys were. But Justice Betrayed by Patricia Bradley broke my record. It's Elvis week in Memphis. A week that brings an array of fans from all over. Detective Rachel Sloan gets caught up in a murder investigation that could be linked to the death of her mother seventeen years ago. Even though her death had been ruled a burglary gone bad. Will Rachel become another victim? Lt. Boone Callahan is Rachel's boss. Yet the sparks start flying when Rachel is assigned to Boone's homicide department.Will they rekindle their relationship? Great story. Even though I am not an Elvis fan, this story line was not about that. It was about the people who were bonded together. Were they friends? Lovers? Or psychopaths? This story was a great mystery with the hint of a romantic twist. Both characters harbor deep hurts, broken relationships and some guilt from the past. Patricia Bradley wove much suspense into the plot of the story. With a surprise for the ending. Knock out roses in bloom. Should you prewash your fabric? The age old question that has had quilters on opposite sides of the spectrum for years. I personally like to prewash my fabric. I recently came upon this blog post from my local quilt shop that explains it from a fabric shop owners perspective. So take a look and see what you think. Should I prewash my fabric? So where do you stand? Do you prewash your quilting fabric? 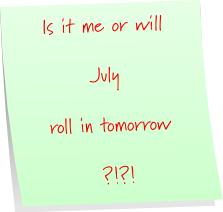 Over the last two weeks I have not had any comments on either of my blogs. I am assuming this is due to the changes that took place on May 25th. I apologize if I have not responded to your comments, as I always try to respond if you leave a comment. And it seems that I have missed countless comments that have been sitting in my moderator file.They appear to be from no-reply bloggers, although I have received from them before. It is sad and discouraging, because I am just a little blog, not anyone with a business or any type of online affiliates. I posted this explanation of disclosures and policies on my Just A Little Southern Hospitality blog, and have it posted on this header. So in case anyone wants to know, and didn't read it before, I am re-posting so that I am making the plain thing - plain. I have absolutely no idea if I need to post this, but I'd rather comply than find out later it was needed! What do I do with your information when you comment on a post or subscribe to updates or enter a giveaway? Am I holding your email address hostage? (No!) What is GDPR?? We never sell your personal information to third parties, and all data collected is only used to notify you about giveaway winnings or to send you blog updates as you have requested by checking the comment follow box or filling out the email contact form. You can, at any time, remove your consent. I am not holding on to your email address With every post update email you receive, there is an ‘unsubscribe’ option at the bottom. If you don’t unsubscribe before May 25, 2018, I am going to assume you want to continue receiving post updates from my blog. But, you are free to unsubscribe at any time. When you fill out the subscription form or comment on a post or enter a giveaway, I get the information you filled out. I only use this information for the purpose you intended and I never sell or give your information to a third party. Copyright: All written and photographic content is property of Just a Little Southern Hospitality and/or Happy Cottage Quilter and may not be copied or reproduced in any fashion without express permission. Images: All possible effort has been made to give a source credit to images when applicable, but regardless, Just a Little Southern Hospitality/Happy Cottage Quilter claims no credit for any image on this site other than those created by me. If there is an image belonging to you that appears on this website and you would like it removed, please contact me with a link to the image and I will do so. Giveaways: NO PURCHASE IS NECESSARY TO ENTER OR WIN. A purchase does not increase the changes of winning. Eligibility: Each giveaway is open only to those who are 18 years or older as of the date of entry. The giveaway is open to U.S. only (unless otherwise indicated) and is void where prohibited by law. The odds of winning depend on the number of entries received. Agreement to Rules: By participating, you agree to be fully unconditionally bound by these rules, and you represent and warrant that you meet the eligibility requirements set forth herein. In addition, you agree to accept the decisions, as final and binding as it relates to the content. Giveaway Period: Unless otherwise stated, a giveaway’s entry period will be stated in the blog post. Entries will be accepted on the day the contest begins until the form closes to entries, usually at midnight of given date. How to Enter: See eligibility terms on blog post. Prizes: Winners will receive the prize or prizes as stated on the blog. Actual/appraised value may differ at time of prize award. The specifics of the prize shall be solely determined by the sponsor. No cash or other prize substitution permitted. Any and all prize related expenses, including without limitation any and all federal, state, and/or local taxes shall be the sole responsibility of the winner. Winner Selection and Notification: Winners of each giveaway will be selected in a random drawing. The winner or winners will be notified by email as soon as possible after the giveaway ends. The winner will have a specific amount of time (listed in the contest terms) to supply mailing address. Just a Little Southern Hospitality/Happy Cottage Quilter shall have no liability for a winner’s failure to check email, receive notices due to winners’ spam, junk e-mail or other security settings or for winners’ provision of incorrect or otherwise non-functioning contact information. Note - Google + is a “no-reply” comment and thus an email address must be a part of your entry. Limitation of Liability: By entering you agree to release and hold harmless Just a Little Southern Hospitality/Happy Cottage Quilter for liability, mail loss, illness, injury, death, litigation, claim or damage that may occur, directly or indirectly, whether caused by negligence or not, from such entrant’s participation in the giveaway and/or his/her acceptance, possession, use, or misuse of any prize or any portion thereof. 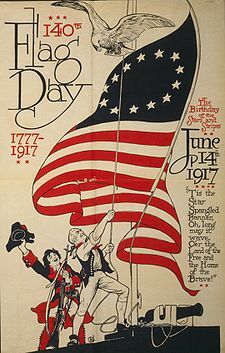 For the total background concerning this holiday, pop over and read Flag Day in the United States. May our flags wave high! I loved Becky Wade's Porter family series. 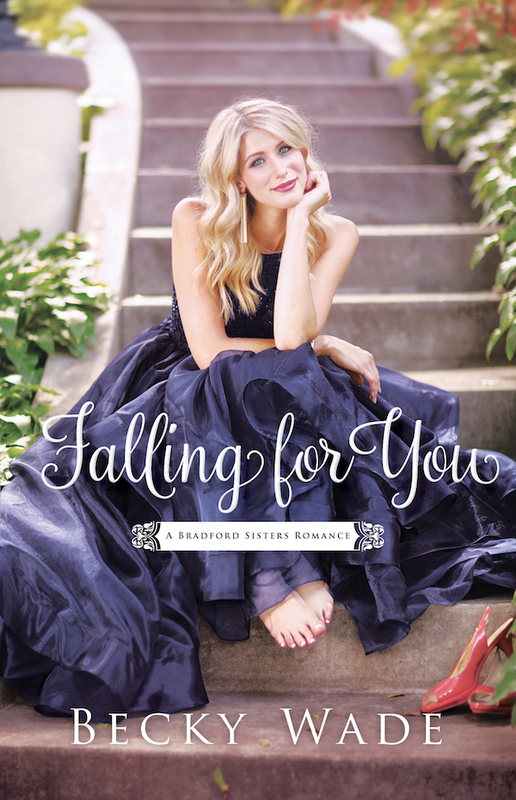 And it's been a while since I read the first of the Bradford Sisters story, True to You. So I was excited to see there would be a story for Willow. I found the start a little slow, with so many characters and different story lines. And a mystery that didn't exactly feel like it belonged to Willow and Corbin. However, this story takes you on a journey of letting go and forgiveness. So many times we hang on to anger, regret and sometimes guilt, that we don't allow our hearts to forgive. Willow walks this path when she is asked to help solve the mystery, along with her former boyfriend Corbin. Corbin's new found faith and how he wrestles with it, was inspiring when he seeks to share it. Sometimes new believers struggle with how to share something that is often times hard to explain. He also struggles with temptation that had not been a problem before he met Christ. The characters host so many deep feelings - deep hurts, anger, mistrust, passion, temptations - yet the revelation of forgiveness and love conquer in Willow and Corbin's relationship. I love these pictorial quilts. I have one for fall, winter, and now one for summer. Just taking a little walk along the beach. I finally added the binding to this Schnibbles quilt that has been waiting patiently. It feels so good to be done with another quilt.